LOCATED NEAR SCENIC LAKE Murray, Settlers Pointe is a diverse and affordable community by KB Home, one of the nation-s foremost new-home builders and a company with a proven reputation for architectural innovation, quality workmanship and superior customer service. Settlers Pointe is situated in the heart of the historic town of Lexington, which dates back to 1820 and received its official municipal charter in 1861. 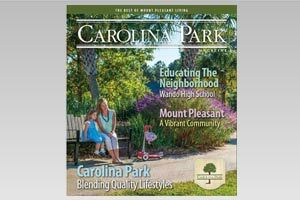 Lexington is close to both Interstate 20 and Interstate 26, as well as to the Columbia Metropolitan Airport. This rapidly-growing region boasts a dynamic economy, fine dining and retail shopping, excellent medical facilities, schools and churches and a wide range of social and cultural activities, including theaters, museums and year-round special events and celebrations. To take advantage of its proximity to Lake Murray, with its 500 miles of shoreline and outstanding fishing, boating and water sports, Settlers Pointe features its own convenient lake-access road and a community dock. In a nature-rich setting of wooded terrain, Settlers Pointe offers a wide range of superior two-story homes. In all, there are 14 separate floor plans, ranging from 1,336 to 4,816 square feet. They feature three to six bedrooms and two-and-a-half to four-and-a-half baths, all with two-car garages. The homes range in price from $169,990 to $268,990. Settlers Pointe-s diverse group of floor plans is augmented by numerous options, including brick and stone and a variety of roof treatments. 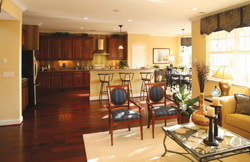 In addition, several Settlers Pointe lots will offer the bonus of spacious, unfinished basements. 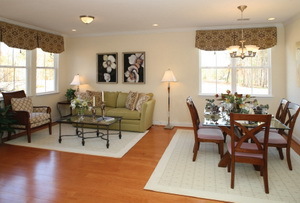 The KB Studio is a popular resource for personalizing these homes. Within the parameters of each floor plan, buyers can customize elements from structural options to appliance décor. From master bedroom and bath to kitchen and family room, buyers can create their own interior look and feel so that their new home is move-in ready, precisely to their specifications. From choosing among a selection of floorings to adding a kitchen island or a fireplace, the KB Home Studio is a unique facility among new-home builders. KB Home Director of Marketing Ned Beck summed up Settlers Pointe-s special appeal simply and succinctly: "Where else can a buyer find so much in the way of a new home at these price points at such a desirable location as Lake Murray?"